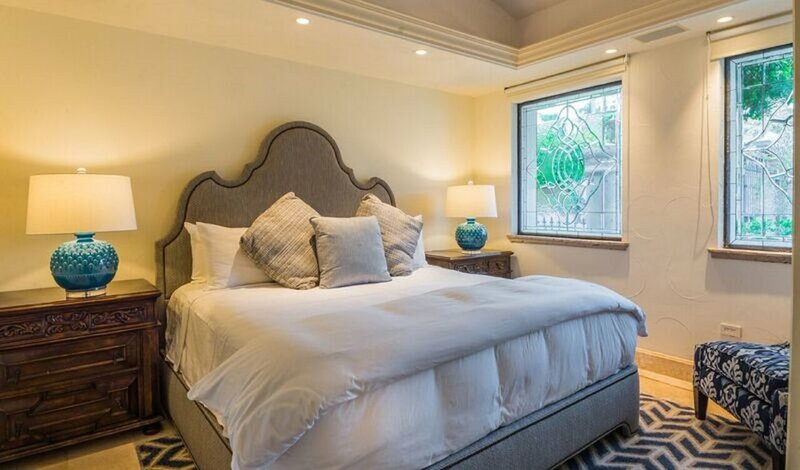 bed 8 · bath 7 · SLEEPS 20 · From $3,500 TO $5.600 usD per night + tax. 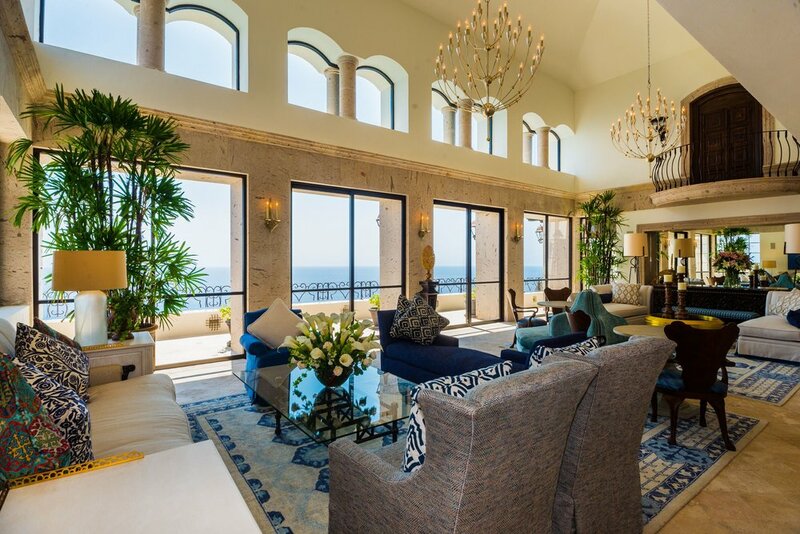 Villa La Roca is a magnificent residence within the Pedregal community of Los Cabos, an exclusive enclave situated just outside Cabo San Lucas. 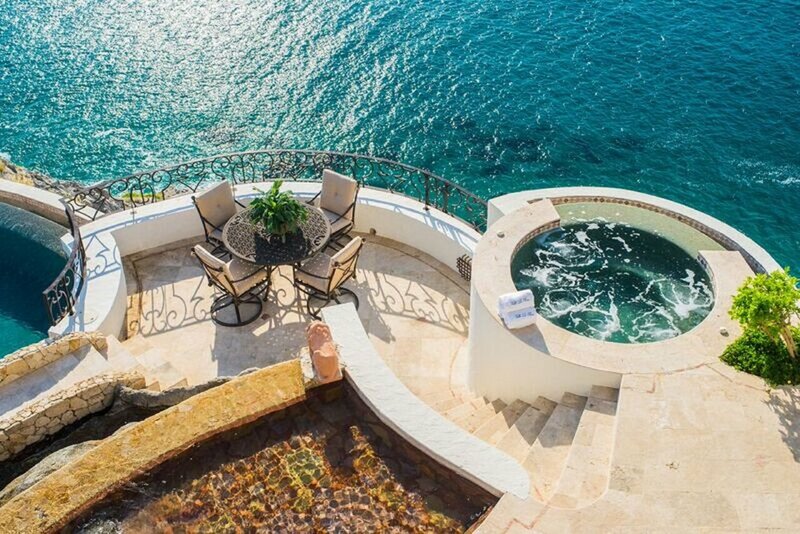 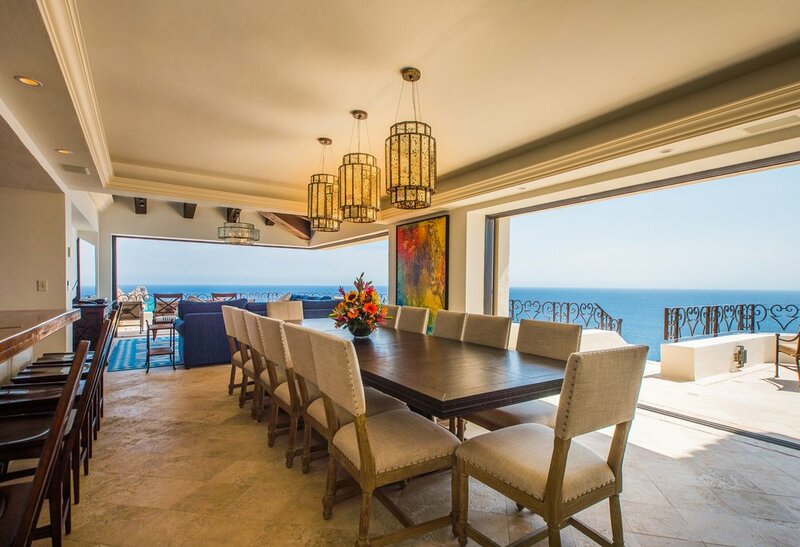 Perched on a lofty slope, the villa surveys breathtaking views of the Sea of Cortez and the iconic rock formations of Land's End from its terrace and interiors. 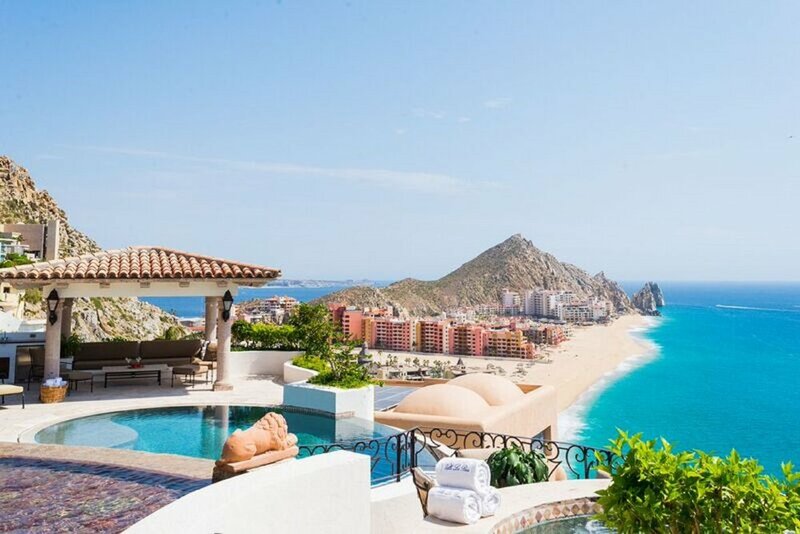 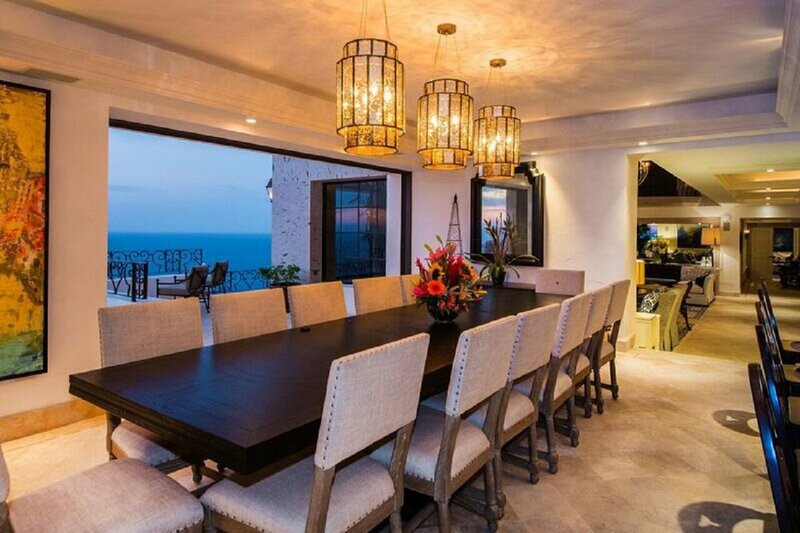 Eight fabulous bedrooms accommodate twenty guests, while additional bedding is available to accommodate up to twenty-eight, making Villa La Roca one of the largest private homes in Pedregal. 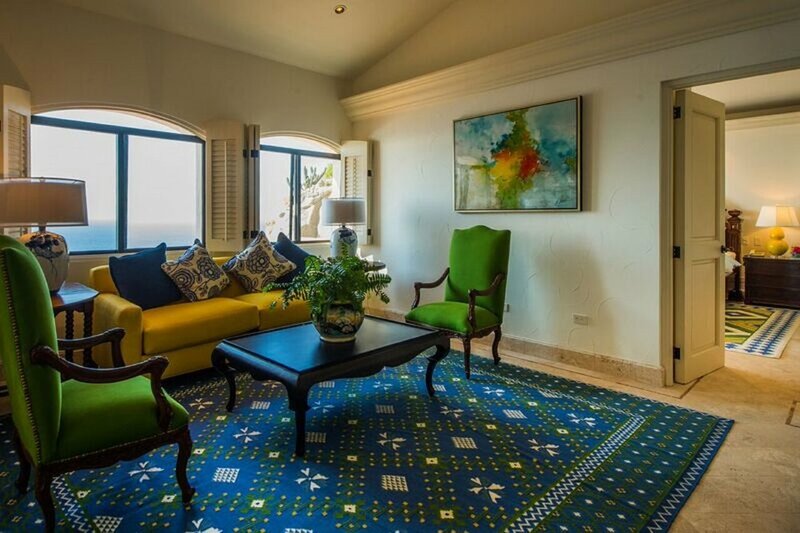 Your vacation rental includes daily housekeeping, a manager, and round-the-clock security. 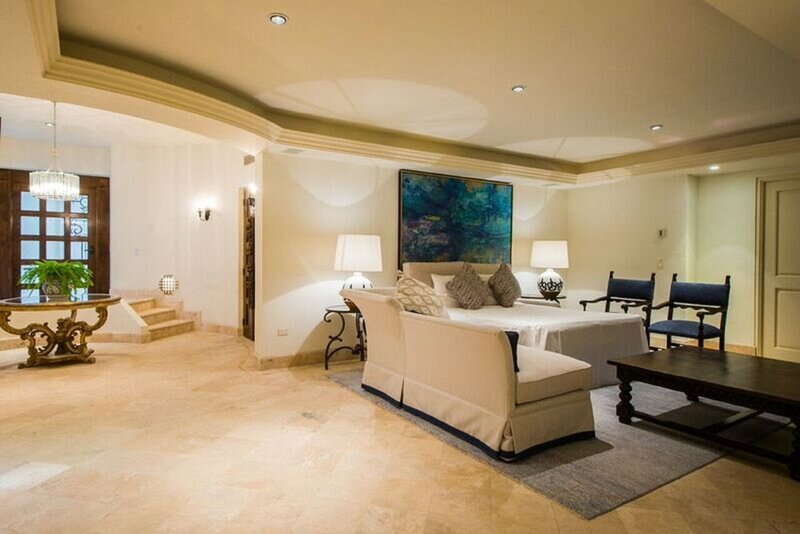 The villa's bedrooms are distributed across all four levels of the home. 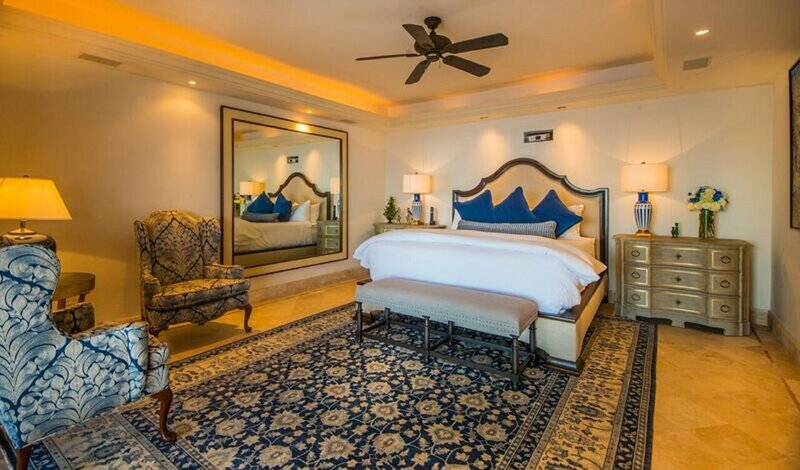 Each enjoys an ensuite bathroom, television, ceiling fan, and air conditioning, and six of the rooms feature ocean views. 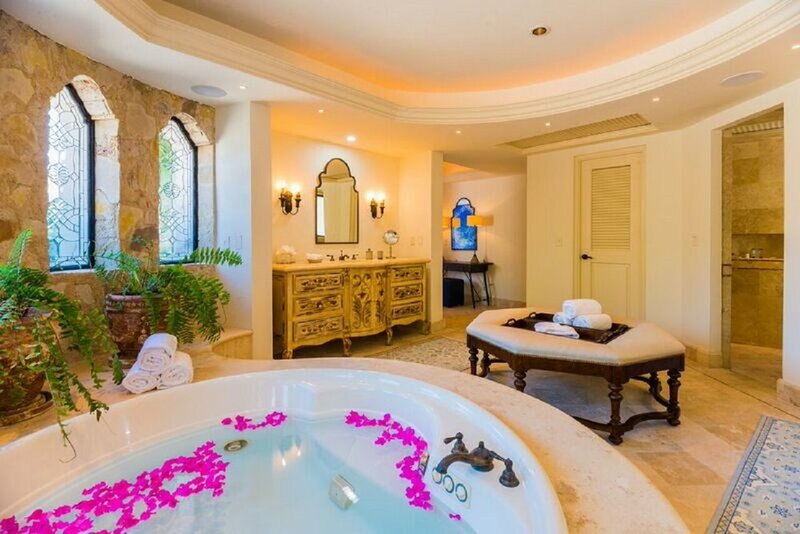 The master suite opens to a balcony and boasts a large jetted tub in its bathroom. 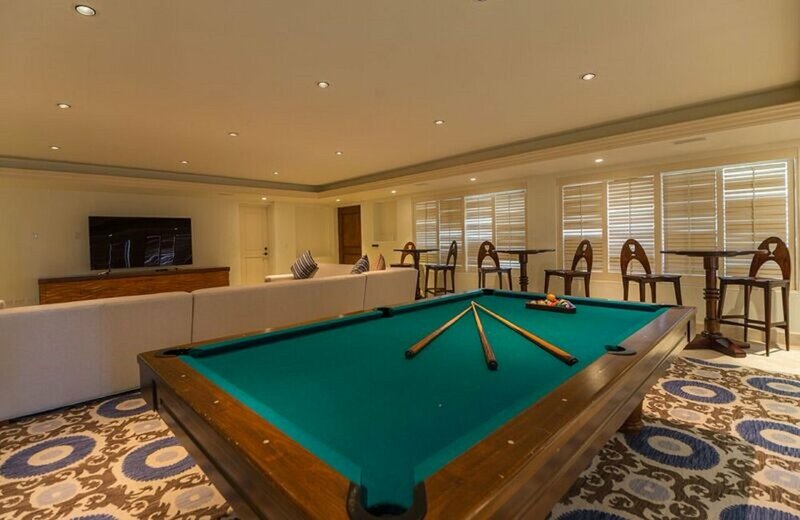 The pool-level guestroom opens to the terrace and includes a sauna. 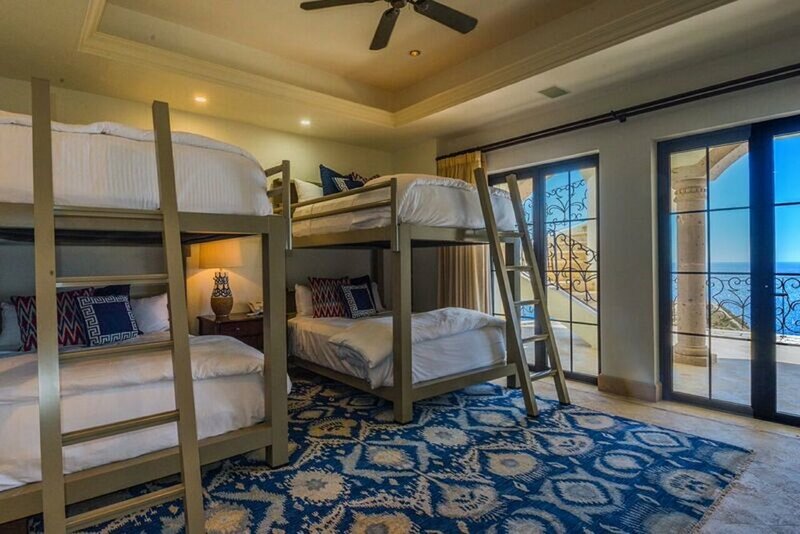 With flexible bedding and a kid-friendly bunk room, the villa is an excellent choice for families, corporate retreats, and destination wedding guests. 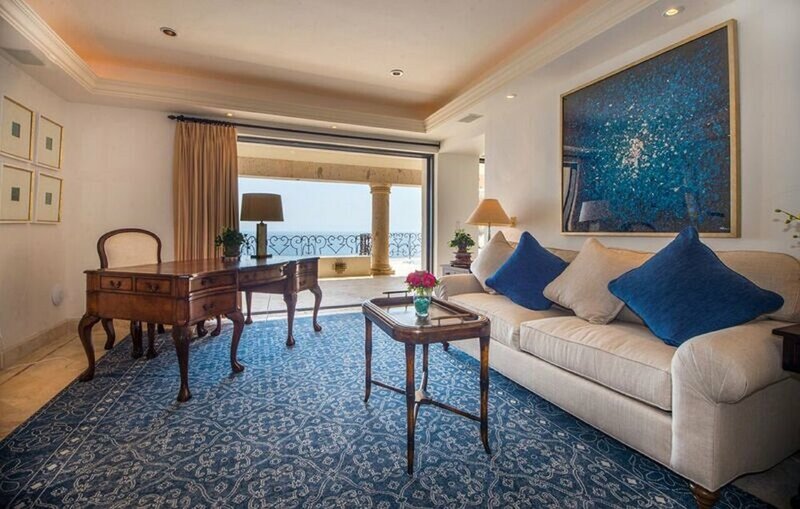 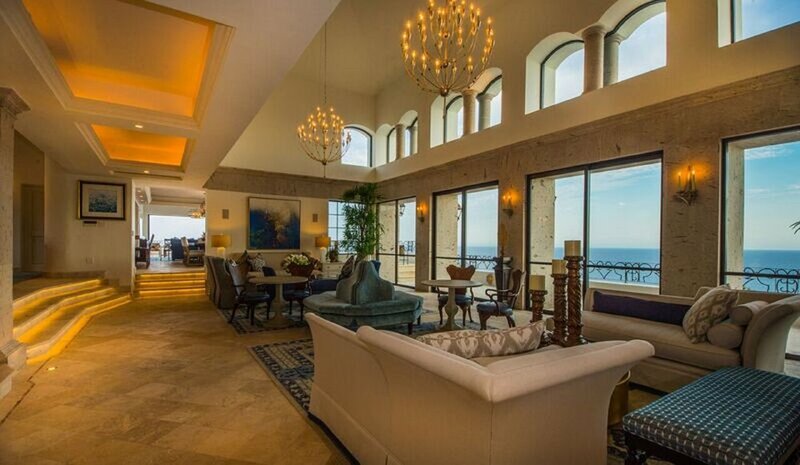 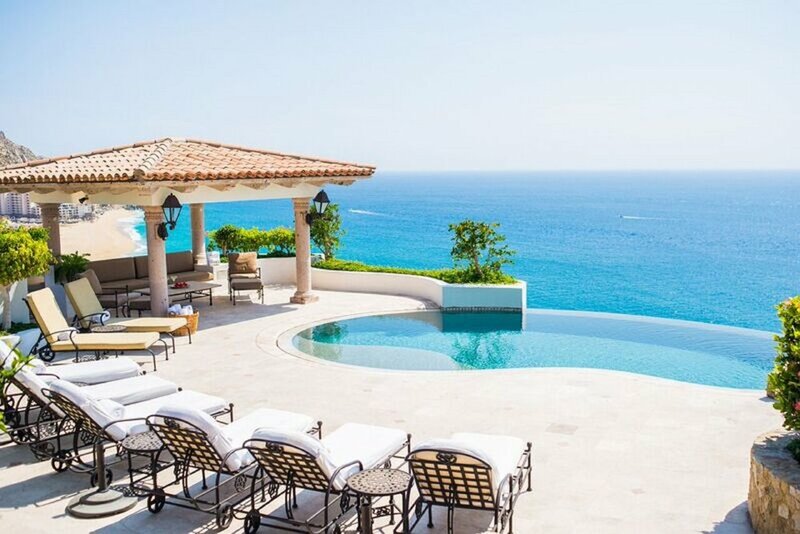 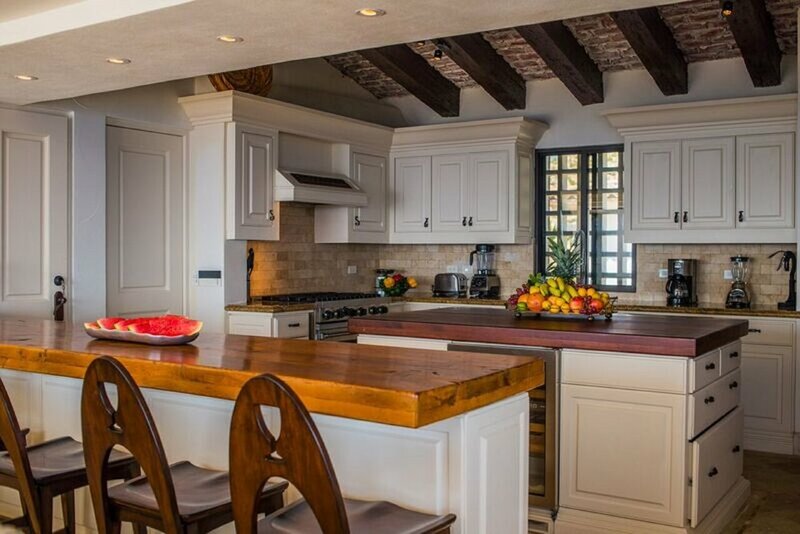 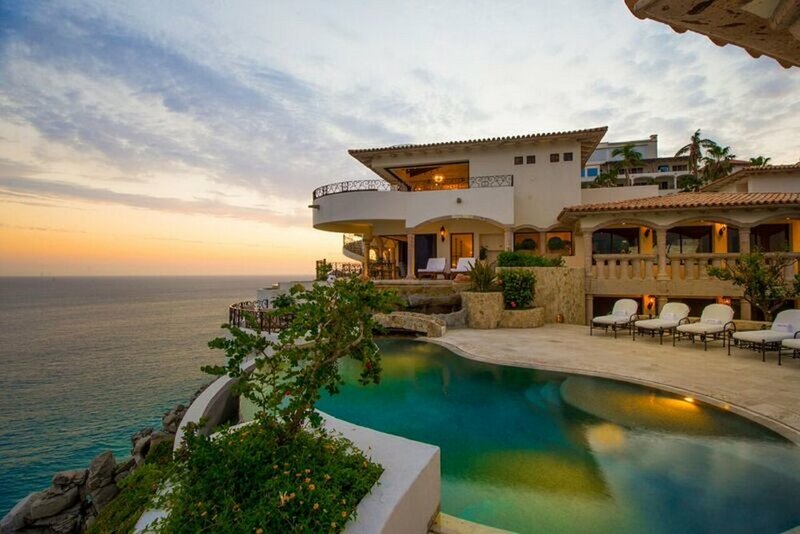 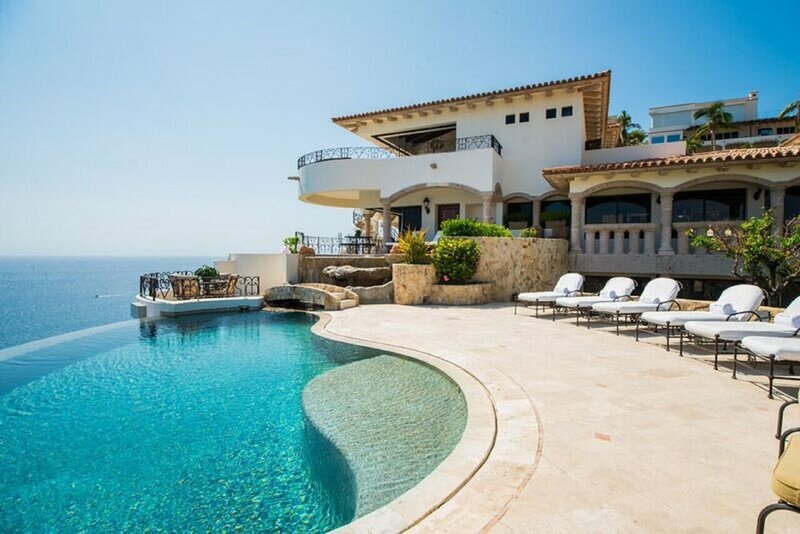 Villa La Roca balances privacy and convenience in a prime Los Cabos location. 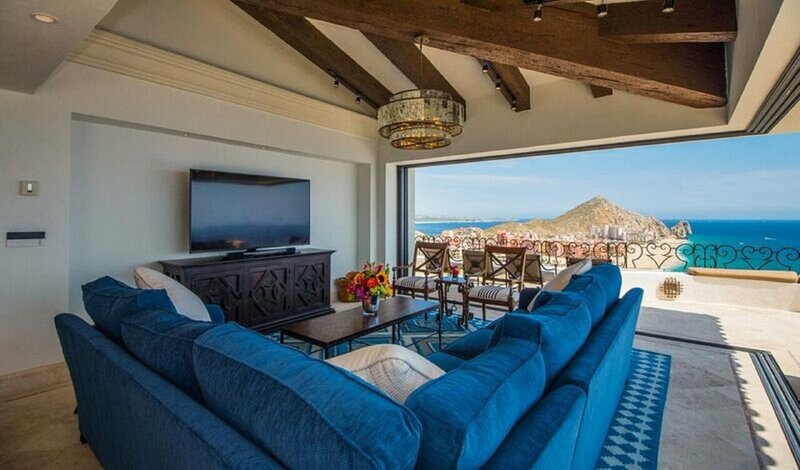 Beach lovers are a short drive to Pedregal and Medano, while golf pilgrims are within easy reach of Cabo del Sol. 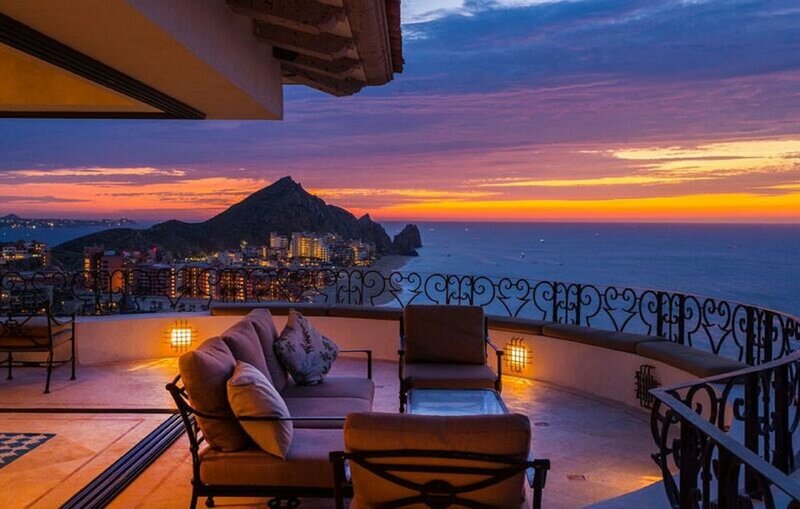 The legendary nightlife of Cabo San Lucas is just minutes away.